1. Add washed greens, chunked watermelon and chopped onion to a large salad bowl. Toss gently to mix. Prepare the dressing. order to mix the vinegar and agave well. and add a small amount of the dressing (about half) of the dressing and gently toss again to coat completely. Add a touch of course sea salt and ground black pepper. Enjoy! 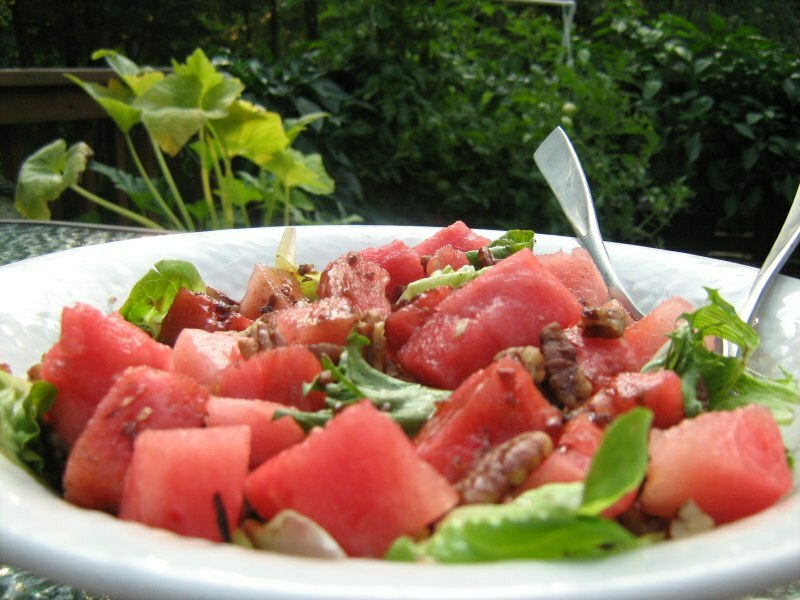 Let us know what you think of this easy vegan recipe: Watermelon Salad! Sounds like a yummy summer salad………adding this to my list!